N.E.S.T. 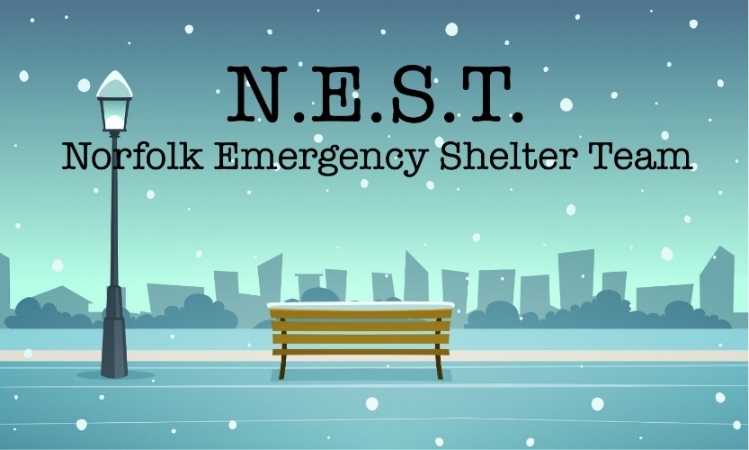 (Norfolk Emergency Shelter Team) an overnight shelter for the homeless will be hosted by the parish from Wednesday evening, February 13 until Wednesday morning, February 20, 2019. We need your help in two ways: you can volunteer to staff a position at the church either in the evening, overnight, or in the morning. Or, you can bring in food for our guests on the day that it is needed or any day the week before NEST begins. 1. Food: Please see sign-up slots for food items. We will continue to update our needs as we get closer to February 13th, so please keep checking this website for updates on our needs. Please provide the food donations by 6 PM on the day requested or sooner. 2. Volunteers: Please see sign-up slots to help greet and register guests, prepare dinner or breakfast, stay overnight, or help with clean up in the mornings. Sign up! It’s Easy – you will NOT need to register an account or keep a password on SignUp.com. the program will ask for your email address, and will send you a reminder in advance of the day that you signed up to work or to bring food. Note: SignUp.com does not share your email address with anyone. If you prefer not to use your email address, please contact the office at 625-6763 and we can sign you up manually.